Vybz Kartel has zero problems with his teenage son bleaching. Some Gazanation fans were quick to criticize Vybz Kartel’s son, Likkle Vybz, for bleaching his skin, but both the youngster and his father are telling everyone who has a problem to kick rocks. 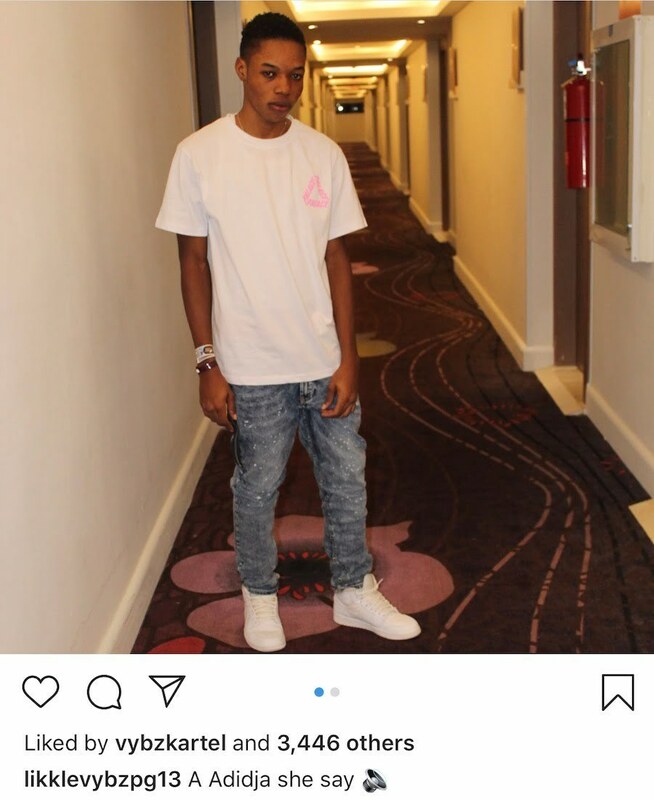 Likkle Vybz, one half of the brother duo PG13, posted a photo of himself on Instagram over the weekend and fans were quick to noticed that he had begun the process of bleaching his skin. “Like father like son, so Kartel bleach and now his son bleaching even before him done high school? Disgraceful mi cyan support this,” another fan commented. One fan called out Vybz Kartel for his public criticism of black people while supporting his son bleaching. “So everyday Kartel on IG a cuss black people and then turn around and support minor kids bleaching their skin,” the fan wrote. Despite the negative comments from some folks on the Gram, others were fully supporting the Gaza boss and his son. “A pure Gaza people over here so the rest a unnu go somewhere else and come off the youth page Gaza forever,” one fan said.